NUPROL DELTA - Jackal Bravo (Black). 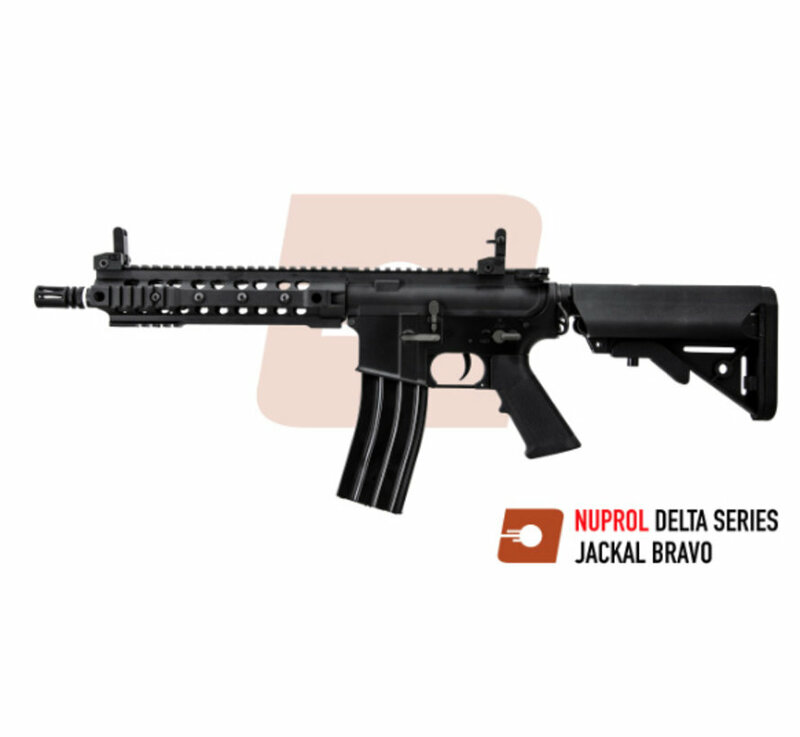 NUPROL DELTA Jackal Bravo Black is a new 6mm electric airsoft rifle manufactured by NUPROL, designed as a replica of the Compact, 10.3 Barrelled KAC SR-15 MOD.1 assault rifle, complete with 9 URX-3 RIS Railed Handguard, and is ideal for Airsofters looking for a Modular M4-type Airsoft gun. Straight out of the box, the Jackal Bravo is ready for use, with a reinforced V2 gearbox boasting a quick change spring, full steel tooth piston, micro switch trigger and high torque flat motor; all features that are usually found on more expensive AEGs. Due to the Superior Manufacturing Techniques utilised by NUPROL, the Jackal Bravos Externals are Rock Solid. The Alloy components feature an incredibly resilient and tough Case Hardened exterior, having undergone a Quench-Polish-Quench (QPQ) process during manufacturing, resulting in Alloy components which will be more than capable of withstanding a fast-paced action-filled day Airsofting. 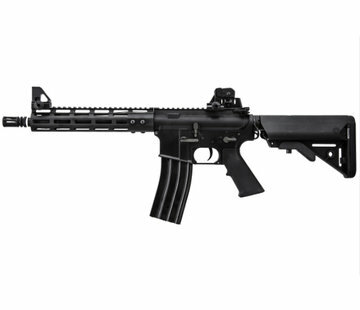 The Receiver is the standard Flat Top M4A1 type, with 20mm RIS Rail, allowing users to mount a variety of Optical Sights to enhance their ability to acquire, track and engage targets. 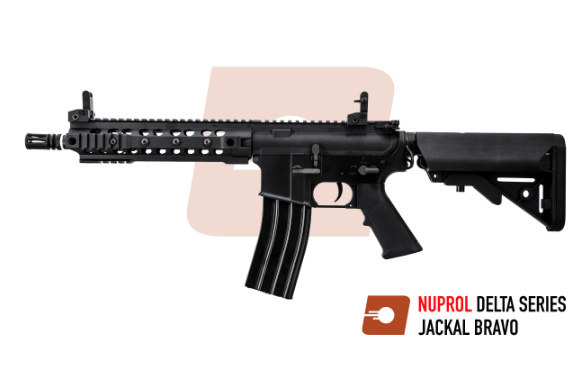 Like the real SR-15 MOD.1, the Jackal Bravo features Lightweight and incredibly Durable Polymer A2 style Pistol Grip, with Finger Ridge, and a 6 position Sliding ergonomic Crane Stock. 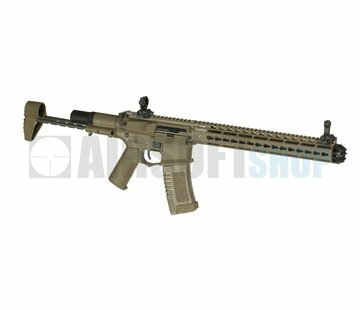 The traditional M4 Handguard has been replaced with the SR-15 MOD.1s Unique skeletal, weight-saving 9 URX-3 Free Float handguard, offering users a compact Top Rail for Optics, and Short 20mm RIS Rails on the Sides and Bottom for accessories such as Grips and Flashligts. Dedicated to realism as always, NUPROL have even Submerged a Replica Low Profile Gas Block and Mock Gas in the Handguard. 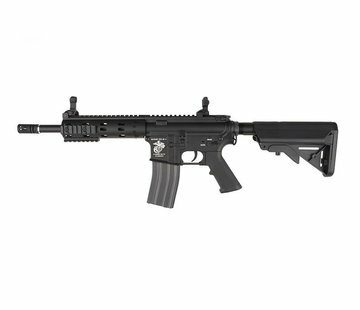 With its excellent external construction, top-end level internals and the unique aesthetics inspired by the SR-15 MOD.1, the Jackal Bravo offers Airsofters a Compact M4 AEG with High End performance, but without the high price tag.